The period between Memorial Day and the Fourth of July is a time of meaning and reflection for all Americans. In keeping with this spirit, we express our gratitude for your deep concern for the suffering of the peoples of the Middle East. 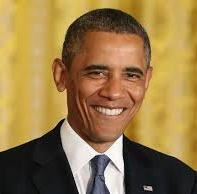 President Obama, you have obviously been privileged to merit divine guidance by the Hand of God. With wisdom and clarity, you have won the hearts of individuals the world over. By conveying the true American ideology, you have turned former adversaries into friends of the United States. This same approach of openness and clarity would be tremendously beneficial to your Jewish citizens. If the true Jewish philosophy – the one that does not accept Zionism – were to be publicized and accepted, much of the worldwide danger to Jews created by the Zionists will simply disappear. Once the world appreciates the difference between Judaism and Zionism, your Jewish citizens will be just as safe in their homes, schools, and businesses as the rest of your American citizens. Accordingly, it is of utmost urgency that Israel is not viewed or referred to as the “Jewish State,” but rather as the “Zionist State.” By disassociating ancient Judaism from new-fangled Zionism, we can hope for peace and tranquility, now and forever. Mr. President, you have had a longstanding positive relationship with your Jewish constituents. From the time you served as a respected Senator of Illinois to your selection of a number of competent Jews to your Presidential Cabinet, there has been mutual respect between you and American Jews. As representatives of thousands of traditional American Jews, we would recommend that you ignore the arrogant, irresponsible declarations of certain Zionists. Please remember that since the founding of the State of Israel, Zionist leaders have always held their agenda to take precedence over the safety and wellbeing of innocent Jews.